There is general agreement that America's landscapes, certainly its wildlands, are out of whack with their fires. Wildfires are bigger, hotter, more savage and more expensive than in the past. There is wide agreement, too, that America's deeper fire problem is not that malignant megafires are crashing into our communities. Instead, it's that we've lost the older benign versions of fire that once washed over and benefited our ecosystems. Surely, the thinking goes, restoring fire's former regimes would quell the outbursts and bolster forests' ecological resilience to multiple threats. Basically, we can't agree on what those prior conditions were, or by what methods we might recreate them, or for some observers whether the past is in truth prologue to the future. Longleaf - the "forest that fire made" - displays its greatest biodiversity by having a range of fires across seasons and years. Overall, it's probably impossible to overburn it, but practice requires guidelines, and that demands social consensus beyond the belief that fire belongs. 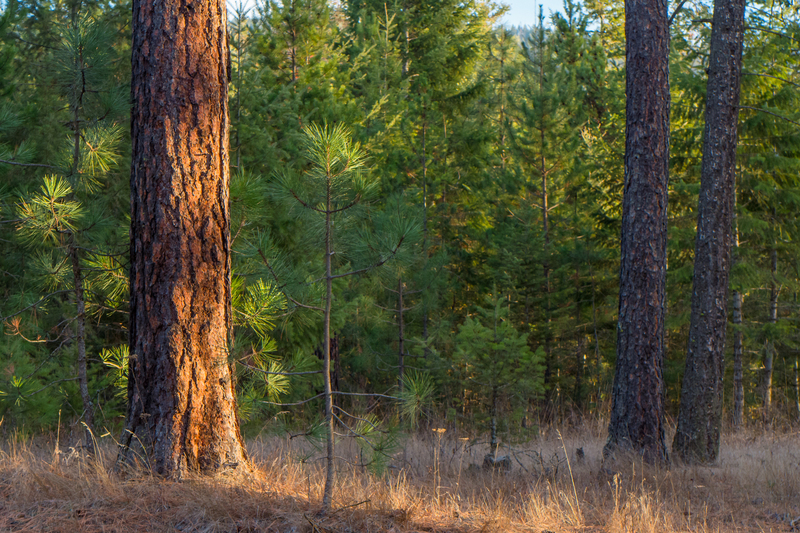 Ponderosa forests have generally become overgrown with understories of young trees that can carry fire from the surface to the canopy - a revived fire but not one that allows the ponderosa to survive. This has led to arguments for thinning, a kind of woody weeding, to restore the former structure of the forest, so that it can sustain the right kind of fire. Lodgepole patches have grown more extensive with fire's removal, which not only feeds larger fires but has encouraged beetle invasions, which further unhinge the structure of fuels and complicate putting fire back in. Since controlled crown fires are at best tricky, and prescribed commercial logging (rather than thinning) is generally unwanted, the options for deliberate restoration are few. 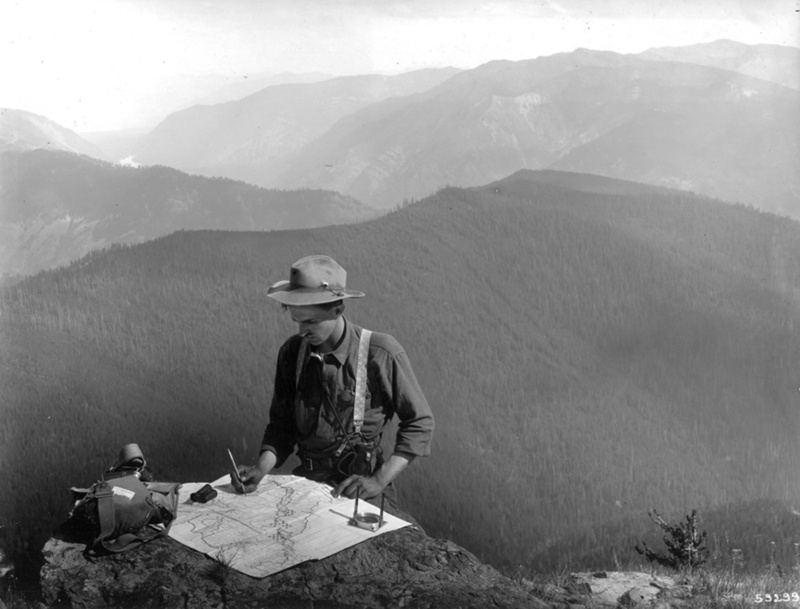 For several decades restoration has been an informing theme for America's fire community. It can point to many successes. Florida now burns over two million acres a year under prescription, and the Florida model has propagated throughout the region. 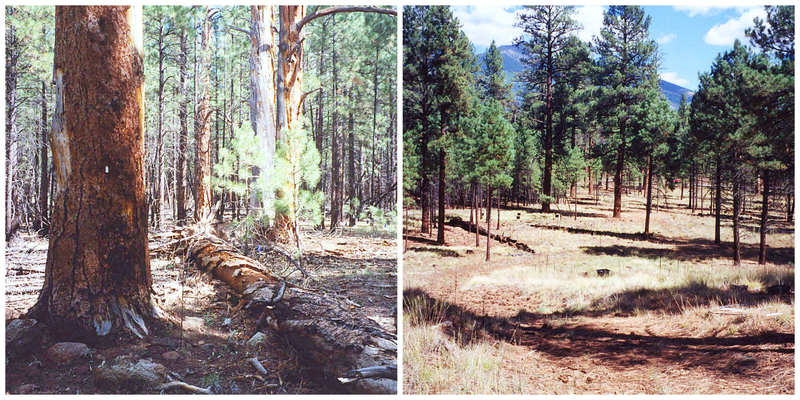 A template for southwestern ponderosa pine, loosely known as the Flagstaff model for the site of its demonstration plots, has disseminated throughout many montane forests in the West. The responses to these challenges will vary - as they should. In the American West, however, the cumulative burdens are pushing fire officers away from the former restoration ideal into something akin to a resilience model. They know they need more fire. Their experience tells them they won't get it waiting for Congress or navigating, project by project, the reviews required by the National Environmental Policy Act. But many other fires allow for varied responses. Backing off and burning out - not letting fires roam freely but loose-herding them with selective firefights and burnouts along their perimeter - is a way to get some good fire on the ground. It's not restoration as the old order understood it. It's not a case of science informing and management applying, of rationally getting ahead of the problem. They accept they won't get ahead of the problem: they have to ride it out. Some patches will burn too severely; some patches won't burn at all. In a way it's a pragmatic solution, replacing a goal that we can't agree on, with a process - returned fire - that we can. The hand is solving what the head cannot. It now appears that while restoration may be a permanent principle, one widely adopted, it is not a transcendent one. It only has meaning in particular places and practices and, we might add, times. It has to compete with other values like wilderness. What is replacing it is a kind of intellectual and institutional mashup, the paradox of a managed wildfire. It's a way to improve control by loosening our standards of control. This is not what the new era imagined as it sought to tame the bright-burning tiger, but it offers us a means to ride that tiger into the future.